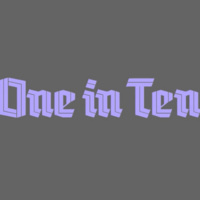 A follow-up to the “One in Ten” panel discussion produced in January. Will aim to dive deeper into the subject of gender equality in design. We will be continuing the conversation with a second panel of female creatives working in advertising, publishing, UX, and film. Women outnumber men as design school graduates, yet only make up 11% of creative directors in advertising. Led by Tina Essmaker of The Great Discontent, our panelists will discuss the #metoo era of gender politics, tactics, and support systems that have helped them overcome gender bias and how they achieved leadership positions in today’s challenging landscape. Tina Essmaker is a New York­ based coach, writer, and interviewer. She is cofounder of the publication The Great Discontent for which she interviewed more than 250 notable creators. As a coach for the creative community, Tina helps clients reach beyond inspiration and take action. In 2017, she was recognized as one of the 100 most influential people in Brooklyn culture by Brooklyn Magazine and served as Chair of the 2017 AIGA Design Conference. She writes and speaks about vulnerability, empathy, and the themes we wrestle with as creatives. Jessica Brillhart is a film director who is wildly known for her pioneering work in virtual reality. She’s the founder of the independent immersive studio, Vrai Pictures, and is a director for M ss ng P eces. Brillhart was most recently at Google, where she joined their Creative Lab as a filmmaker in 2009 and became Google’s Principal Filmmaker for VR in 2015. Brillhart has created a number of award-winning and critically acclaimed VR experiences that span a wide range of genres and dive into issues surrounding cultural representation, access, and accessibility. She is also a immersive theorist and writer. Her medium publication, The Language of VR, has been used by universities and creators from all over the world. She has mentored for such organizations as Sundance, ADC, World Press Photo, SXSW, and the Tribeca Film Institute. Brillhart has received honors and recognition from MIT Technology Review, Filmmaker Magazine, MoveMaker Magazine, Suddeutsche Zeitung, Bauhaus 100, Glamour Magazine, and Killscreen, among others. She also has a dog named Fisher Texas, and he is great. Stella Bugbee is the editor-in-chief and president of the Cut, the New York magazine’s dedicated fashion and lifestyle publication. Bugbee oversees the editorial and visual content of the site, as well as business strategy in her new role as president. Expanding the content of the Cut from fashion and lifestyle, Bugbee has led coverage of politics, feminism and gender issues. It has paid off — unique visitors to the site increased 39 percent between 2016 and 2017. Having studied both writing and design at Parsons School of Design, she returned to teach design and typography for six years before becoming design director for Ogilvy & Mather. Bugbee was then associate creative director of fashion agency AR New York, as well as design director at Domino magazine. Her design work, which has been sold internationally in stores like Opening Ceremony and Colette, has won her accolades from organizations such as the Type Directors Club, Art Directors Club and the Society of Publication Designers. Bugbee lives in Brooklyn with her husband and three children. Ariella Gogol an Associate Creative Director at Droga5, where she helped spearhead the relaunch of CoverGirl with the new campaign “I am what I make up.” Prior to joining Droga5, she led the global storytelling for Revlon. Her clients have included Calvin Klein, Sephora, Bulgari, Juicy Couture, NBCUniversal, and Estée Lauder, and her writing has appeared in Refinery29, New York, Vogue Italia, Cosmopolitan, Nylon, Interview, Psychology Today, and The New York Times. Renda Morton is VP of Design at The New York Times, where she leads the Reader Experience team. Previously, Renda founded and ran a small, multi-disciplinary design studio called Rumors. Before moving to New York, Renda lived in The Hauge, Netherlands where she worked on physical interactive media projects at a design studio called Lust. Renda has a BFA in Interactive Media from the Minneapolis College of Art and Design. Warm-Ups is an initiative by AIGA NY Education to provide undergraduate design students schools a platform to introduce their work to the AIGA NY community, and to give our audiences an opportunity to see the best and brightest, and to learn about what’s happening in area design programs. The font “Birdy” was designed by Veronika Burian. Presented by AIGA and Parsons School of Design. Free: must be signed into The New School gmail account to register.